Arabella is my youngest granddaughter and this new heirloom collection is named after her. Although she is already two years old I confess that I have been working on this collection for over two years. Smocking fascinates me and has become popular again probably because the Duchess of Cambridge has dressed her children in clothes featuring smocking these last few years. This collection would not have been completed if I had not had the wonderful opportunity to brain storm it along with my friend Pamela Cox. Ideas have gone back and forth across the Atlantic and these pretty designs are the result. Pamela has experimented with my designs deciding how to get the very best results by preparing your panels carefully before the embroidering process begins and using the right stabiliser. She has written a smocking tutorial which will be released shortly alongside the second set of designs. This tutorial is a “must have” and will include some unique designs. When Pamela visited me here in England in 2015 this was the result of our first testing. 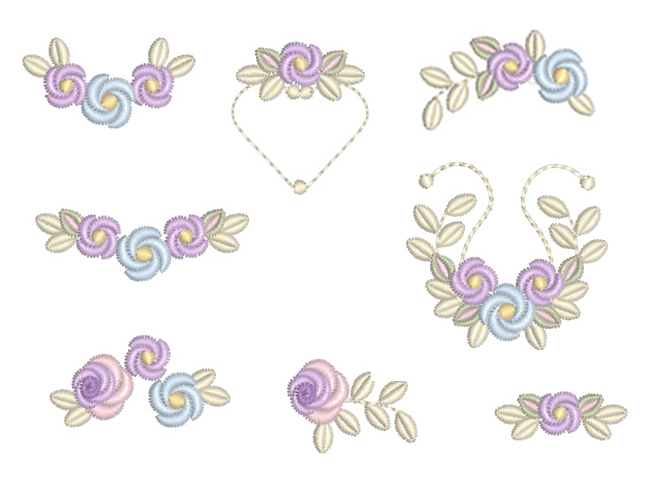 The idea behind the collection is that there are blank panels as well as ones featuring the roses. Within the first set of designs, for 4″ x 4″ hoops, there are over six tiny designs, less than 2″ square which you can use to create your own panels. 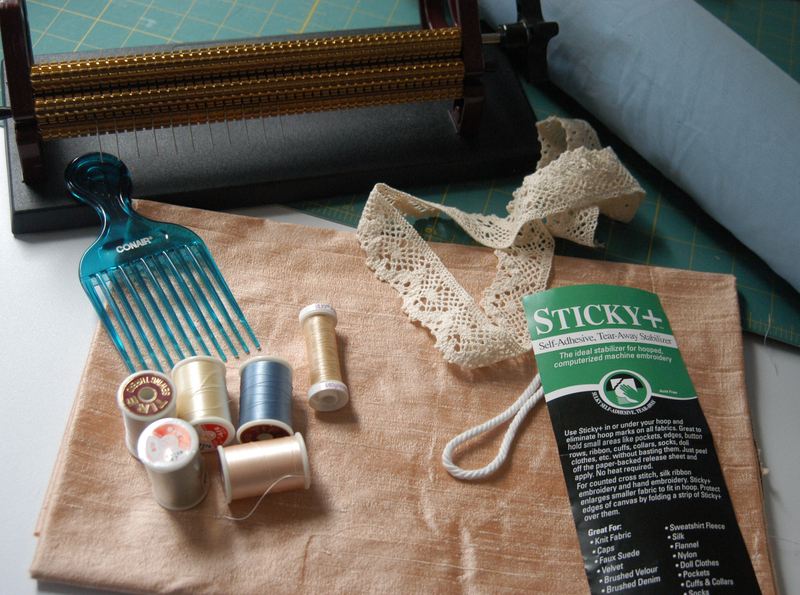 As with any heirloom collection tiny designs are very useful as they can used for small projects for babies and dolls. As I looked at this first set of designs last week I was not completely happy and felt they needed something more. After quite a lot of experimentation the third largest rose was created. You may not want to include it in smocked panels as it is quite dense having double satin petals, but it adds dimension and beauty to the collection, especially as it is has been created at an angle. I have carefully chosen the pastel colours for this collection but I suggest that you experiment with colour and with these beautiful designs. It is important to keep the shades of the largest rose the same, with the lightest colour on the outside and deepest in the middle. Several of the larger designs can be made smaller and more simpler by editing out the large satin roses. I hope that you find everything you require in the collection to create a real work of embroidery art, something to be treasured for many years. Remember that not all smocking has to be done on children’s clothes. I have seen some wonderful smocking on adult clothes. You will find a buttonhole, made with the tiny buds, as I believe every heirloom collection should have one. Notice the little oval with its scalloped surround. This edging will feature in the larger designs in the collection, as can be seen in the design from the next set of designs for 5″ x 7″ hoops. 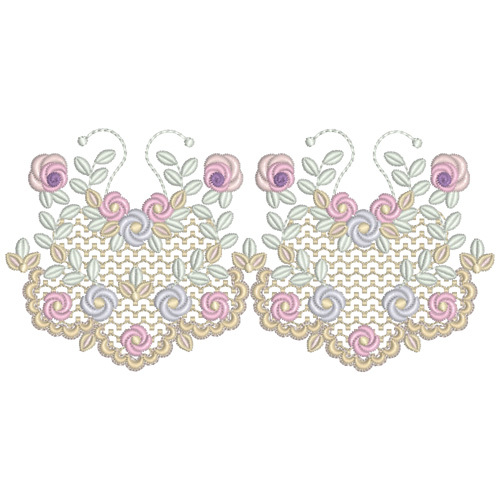 The holding stitches that form the base of the smocking panels have been used to create a lace background. The first set will be released on 2nd December 2017 but it along with the other sets in the collection can now be pre-ordered. 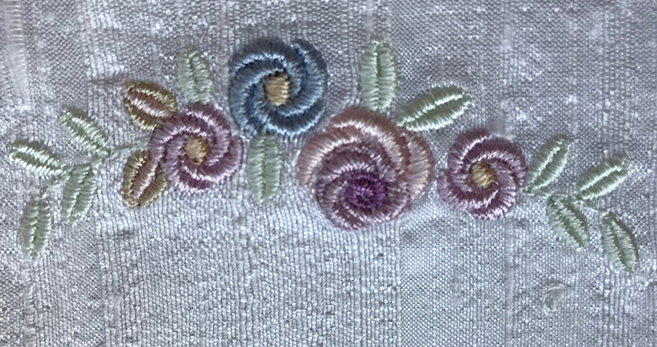 This entry was posted in Discussing machine embroidery, New Designs and tagged development of embroidery, Digitising flowers accurately, heirloom embroidery, machine embroidery, Smocking designs. Bookmark the permalink. Remember the best comment of the week earns $30 in rewards. These designs are so pretty and they came just in time. I found out this past week that I am going to have my first grandchild and it;s a little girl. Very interested in learning the art of smocking so I am looking forward to the smocking tutorial as well. How exciting for you all. Congratulations! These are so pretty. I think they would look nice on doll clothes too. Thank you for your comment. I have so enjoyed creating these designs. Dear Hazel, this is more a question than a comment. 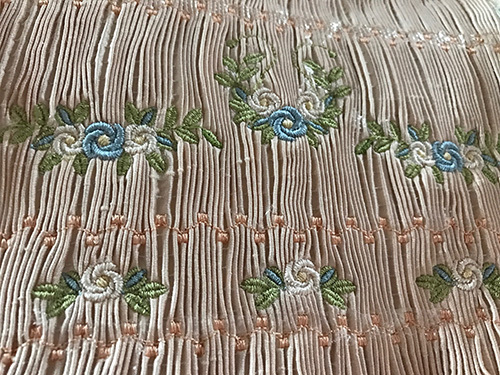 To make it more of a comment I must say that I feel you have really captured the idea of smocking with embroidery designs. The designs will sew out so nicely without having to carefully stitch by hand as was done years ago. My question is: can one sew out the designs on a garment or doily without using the pleated fabric that is used for smocking. Sadly I sold my pleater a few years ago because I didn’t use it. Yes of course the designs can be stitched out on their own. Enjoy!